Apple is known to produce exotic accessories along with exotic phones and tablets and sell them at high prices. Ever since the launch of Apple Watch, people were expecting the launch of some expensive accessories to team up with the smartwatch. 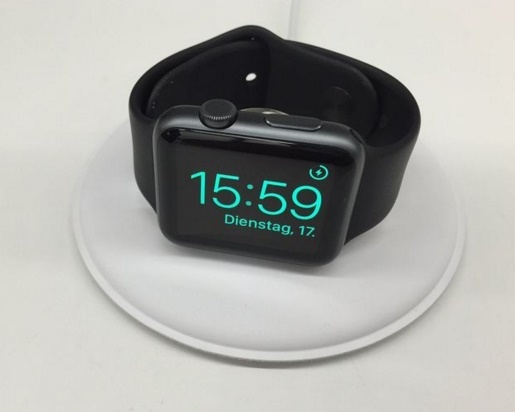 The accessory that was the most expected was a charging dock for Apple Watch. 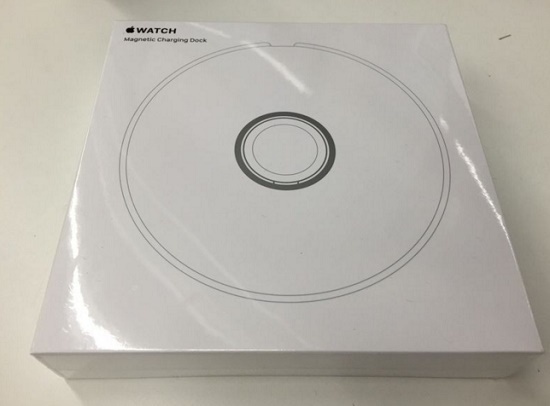 However some leaked pictures are indicating that Apple is soon bringing charging dock for Apple Watch. From the appearance, it isn’t looking like a charging dock but rather like a CD/ DVD player. The device seems to have a have a funny look with a nightstand mode. The Apple Watch charging dock will come with a lightning cable that can be plugged in quite easily in order to charge up the watch. The exact technology and material used could not be specified as the news have been furnished based on some images only. But as far as rumors are making rounds, the plausible material is silicone. The charging dock has not yet been confirmed by Apple but the photos doesn’t seem to be hoax. If the images turn out to be real, then the product is not far from hitting the Apple Stores. According to 9To5 Mac, the device will cost approx. $100, which is definitely on the expensive side compared to the substitutes found in online retail stores.